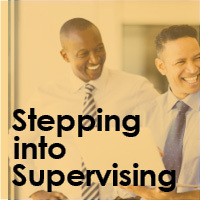 Taking on the role of supervisor or team leader is an important step on your leadership journey. Practical skill that you will call on immediately, to manage your team, communicate effectively and provide direction, set strong foundations for continued development. This two-day course covers topics that help new supervisors and team leaders, become aware of their leadership and communication preferences, as well as understanding team needs and behaviour. Participants will leave this course with the skills to begin managing a team effectively and the confidence to apply learnt materials.